Home / Safer Driving / Car safety / Self-Driving Cars: What’s the Deal? Admit it: at least once you’ve wished you could take your hands off the wheel and put your car in autopilot, without having to worry about looking at the road or being stressed by traffic. We all envied Tom Cruise in Minority Report, when he hopped in his self-driving car and then carelessly climbed out of his windscreen. Well, the future is now, and you can (sort of) do it too. As of 2019, cars might not be flying but the technology in car manufacturing has seen extraordinary developments. Driverless cars, also known as self-driving cars or autonomous cars, are essentially machines able to sense their environment, thanks to highly developed technology, allowing them to move and drive around with little to no human input. They’re built to be able to avoid any possible obstacles and know the road rules. The first model of a self-driving car was actually created by General Motors in 19581, but it was only the last decade or so when big companies like Tesla, Waymo, Audi and Ford started producing and testing their very own self-driving cars and taxi services. Self-driving cars are an incredible achievement for car technology but what we need to be careful about is how independent these cars can really be. The words automated and autonomous, self-driving and driverless, are used interchangeably, the differences are in the level of human control. Self-driving cars are automated, meaning they are machines that follow directions given by a human and control can be taken back easily. A truly autonomous or driverless car would be a car, which on your way to Brighton for a weekend decided the exact destination and which route to take. Self-driving cars can be categorised in 6 different levels, from fully manual (level 0) to fully automated systems (level 6) where there’s no human interaction required. In 2017, Audi announced that their A8 model could be automated at speeds up to 37.3 mph2, reaching a level 3. The real challenge for driverless car manufacturers is to make sure their technology is 100% safe, and that once on the road, they can detect other cars, pedestrians, cyclists and animals, and handle possible natural phenomena. These are unpredictable factors that can put all road users’ lives in danger! WHEN CAN WE BUY DRIVERLESS CARS? Before driverless cars will become mainstream and the average population can start investing in them, the technology must be trusted as safe, in every condition and every possible situation. There are countries like China, where you can already find automated minibuses without a driving seat. In 2013, the UK started conducting testing on public roads, and three years later, in Milton Keyes, an automated two-seat electric car named LUTZ Pathfinder successfully completed trials and was put in the streets. It’s likely to be a decade until driverless cars will be mass-produced and become mainstream, companies needing to continue safety testing, and sort out unresolved issues such as liability and judgment calls. As this happens, the cost of driverless cars has been estimated to drop dramatically, from the current $70k – $150k to just $5,000 by 2025. WHAT ARE THE RISKS WITH SELF-DRIVING CARS? If a consumer decides to buy a self-driving car without researching its technology and limits first, they could be misled. It would in fact be extremely dangerous for new drivers, in case there’s a sudden handoff required. Also, because these robot cars are often advertised as safer, you might get distracted easier and start doing other activities whilst driving, like the Tesla owner who was spotted sleeping whilst using the autopilot on the motorway3. There have also been fatal incidents with Tesla driverless cars in China and America, and in March 2018 Uber stopped their trials, after a pedestrian was fatally ran over when the driver of the well-known taxi service had the car on autopilot whilst looking at their phone4. Waymo, Google’s self-driving car service, hasn’t recorded any fatal accidents but there have been many injuries to drivers and pedestrians. WHAT ARE THE PROS AND CONS OF DRIVERLESS CARS? 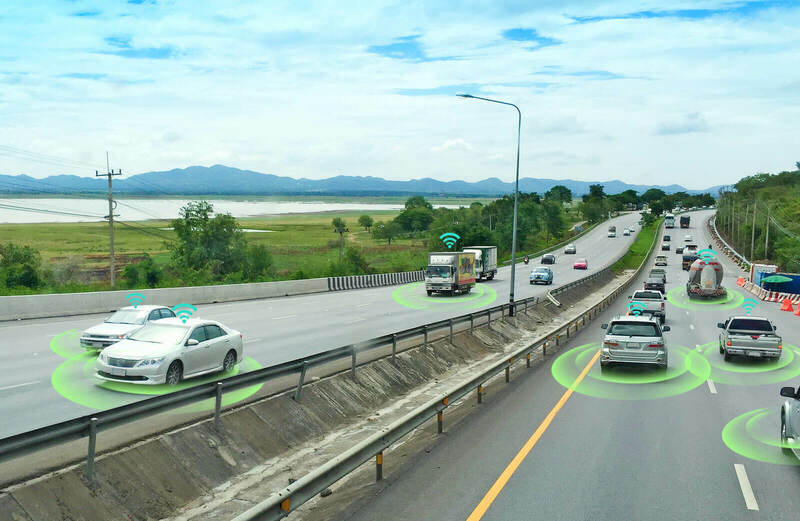 The collisions by human errors, such as distraction, slow reactions, drunk driving and impaired drivers, will be heavily reduced but with such complex technology, the possibility of bugs or machine mistakes needs to be taken into consideration. Automated cars could reduce labour costs, optimise fuel efficiency and improve fuel economy but it also means that driver related jobs will quickly decline and a part of the population would become unemployed. Driverless cars could free up big chunks of land in urban areas, due to parking spots being reduced, and help the environment, but the AI used might not be able to handle the chaotic inner-city environment. People would be relieved from the stress of driving and commuting but the ethics and morals of autonomous cars are not on the level of humans, which could lead to a lot of controversy if the car needed to take a decision in an inevitable crash for example. SO, WHAT HAPPENS TO INSURANCE WITH DRIVERLESS CARS? Another big change self-driving cars could bring, as the general safety improves under the right conditions, is the car insurance industry becoming outdated. The main cause of road accidents is in fact human error but if humans are taken away from the equation of driverless cars, the risk reduction would mean less need for third-party damage insurance. Forbes has estimated plummeting premiums leading to 75% of the market being reduced5. There’s likely to always be some manual involvement available though, which would need cover on a different scale. Insurers are also likely to have to deal with new areas like cyber risk, or the accident risk could be entirely moved from the individual to the manufacturer. As the technology and dynamics around car insurance change, the industry will have to mould around those changes and create new models of insurance for new types of driving. With new technology come new risks and development. The UK government is keen to become a leader in driverless cars and has in fact estimated the market for automated vehicles to be worth £52bn by 20356. A hundred years ago, it would’ve been impossible to imagine what we came to invent and use on a daily basis, so who knows what’s next!